We’ve come a long way with notification apps for Android. It isn’t just about missed calls and texts anymore. All the one-touch actions that couldn’t be done without actually opening the app are possible today and with every new update. The notification manager gets smarter every day. Android doesn’t have many customization options and there is so much that can be done with the notifications. Developers are always finding creative ways to solve a problem or even optimize an existing feature. We’re going to talk about the best notification apps for Android that make your life a little better. 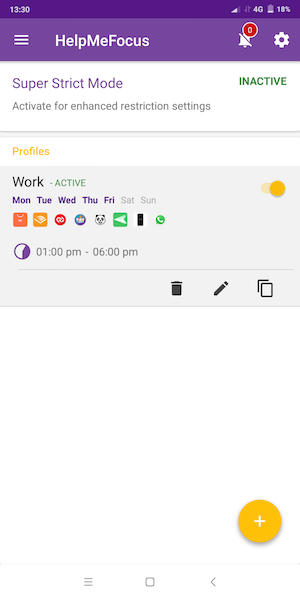 Notin is a simple note-keeping app that lets you take notes of groceries, things you may forget and shows a notification to remind you of the task. It is a very creative use of notifications and gives you a reminder every time you look at notifications. Using Notin is easy, just download it from the Google play store and run the app. The simple minimalistic UI draws over the home screen and shows you a text box and a button. You type in your note and press the Add button. 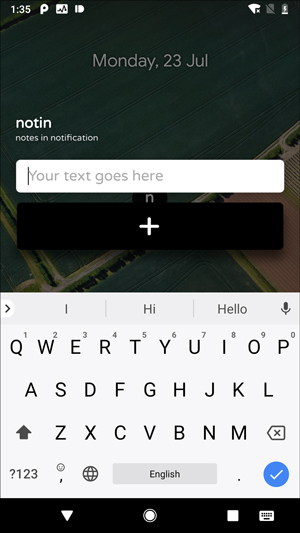 It instantly creates a notification for the note you just typed in. When you’re done with the notification, you can just swipe it to delete. While some of you might use WhatsApp for work, there are other apps which are pure distractions like- Instagram and Facebook Messenger. If you don’t want to block them temporarily, you can use HelpMeFocus to mute their notifications for a certain time. Just open the app and create a new profile by tapping on the plus icon, select the apps you want to block and then save. Once you are done, HelpMeFocus will grab all the notifications of the select apps and place them inside the app, you can see all these notification later on. Reply is an app from Google that offers smart replies by detecting certain keywords in messages. For example, If I’m driving and I receive a text from my mother where are you? The reply app would automatically send a text that I’m driving and would call her after I reach my destination. 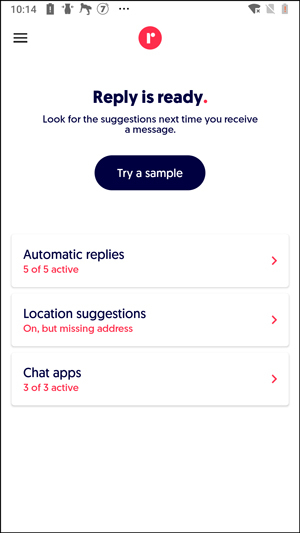 Reply aims to reduce the time we spend on our phones and eliminating the unnecessary conversations that have one word or a short sentence answer. Kind of like what you see in Gmail auto-suggested response these days. The app is still in the beta phase so I’m not sure which features would we get to see in the final version but its a great idea waiting to be refined upon. 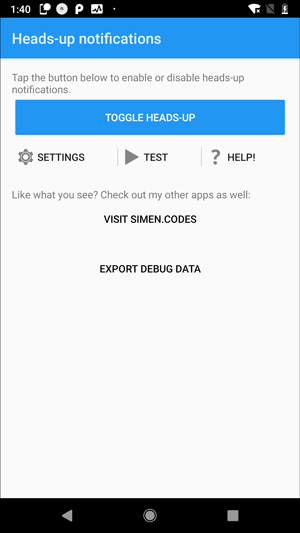 Though you wouldn’t find this app on the Play Store yet, you can sideload it from apk mirror. Those of who have newer Android versions on your Phone must have seen this new feature. Whenever you receive a Whatsapp, instead of just showing the notification in the notification manager, it also displays a floating bar of notification that shows up for a few seconds and then disappears automatically and the notification still remains in the manager. That was the coolest thing I had seen but sadly it is included in Marshmallow and onwards. I looked up for an app and to my surprise, I wasn’t the only one looking for it. Heads up display does just that regardless of the Android version. This app requires a few permissions like notification access and once granted, it shows you a few options. You can choose to filter out apps which notifications to see. You can select the priority of apps and this app would show you notifications in that order. 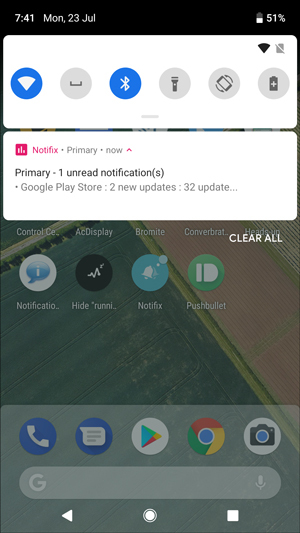 HeadsUp also has a feature to set a time period where this app won’t show you notifications, however, those notifications would still show up in the notification manager. How often does this has happened to you that you received a notification on your phone and you accidentally swiped it instead of opening it and then you have to go all the way in to the app to see the content or maybe you received a promotional discount on a food ordering app and you swiped it away and now you’re hungry for that coupon? Well, those notifications aren’t really lost or deleted but you can’t access those directly from your app. 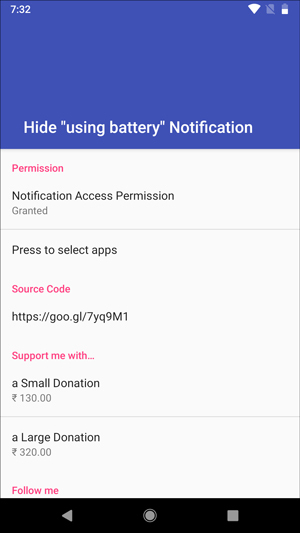 Notification History is an app that keeps track of all your apps’ notification history and stores the info of every notification from the time you install and grant this app permissions. Though the developer doesn’t do this, this app’s core functionality can be abused to skim sensitive data like the OTP for transactions without the user’s consent or approval. Overall this apps works fine doesn’t have any issues. Focusing on two things can be challenging sometimes when you’re doing something very important on your computer and expecting a call or text on your phone at the same time. Maybe your phone is not always around and you have to get up every time you hear a notification buzz. PushBullet is a smart notifications app that lets you view the notifications from your phone on your computer. This is done with an app on the phone and a chrome extension on the google chrome. When you download the app and the extension you would have to sign in with a google account and that’s about it. Chrome extension displays all of your phone’s notifications in the web browser as notifications. You can dismiss the notifications from the web browser either by tapping the dismiss icon when the notification appears or by clicking the Pushbullet extension icon and tapping on notifications. It would also dismiss notifications from your phone as well. It is not just a notifications app but has a few better features. You can chat with other people on this app, this lets you send and receive messages just like a chat on this app via the internet. 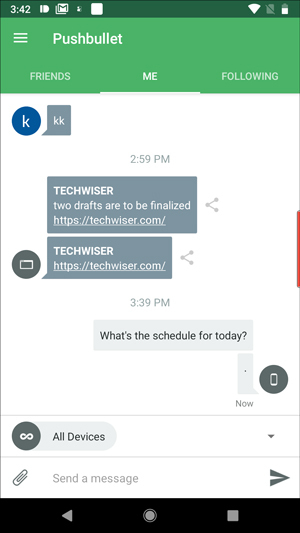 You can also directly send text messages to any contact in your phone from your computer with this app. 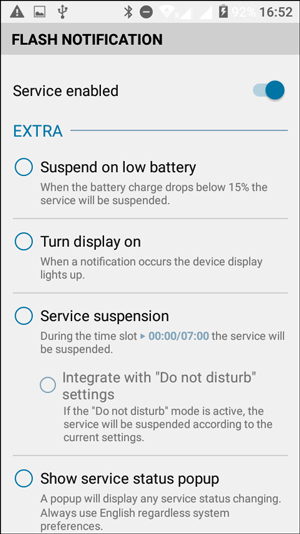 You may not have noticed but your Phone probably has a notification LED that blinks while charging and changes color when charged. It might show you a notification of a missed call but that’s about it. Those notifications are embedded into the system and you can’t just choose a notification for your custom app. Light Flow is a notifications app that allows you to customize colors of the LED and notify each notification with a different color. This app requests to read all the notifications and then you can allocate the colors of LED to all the apps listed on your Phone. Like for example, Gmail notifications are Red, Flight Mode can be Blue and blinking, and Charging is green. You can also set a short vibration to add with every notification. The free version of Light Flow allows only preset choices of LED patterns which you can change with In-app Purchases. Using Gmail on Phone could have been overwhelming if they had not kept the notifications in mind. Even if you receive 100 emails or just one, Gmail app just shows one single notification that displays the information for all the emails but sadly other apps may not have this functionality and often crowd the notification panel with notification for every single activity. 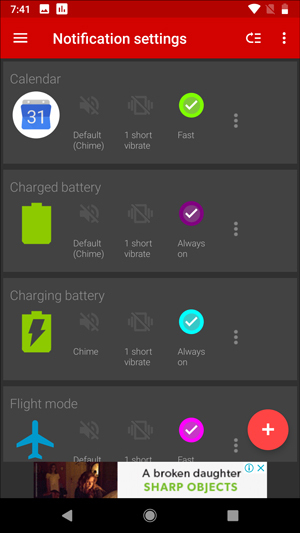 Notifix is the solution for all the chaos in the notification manager. Downloading Notifix is easy, and setting it up is even easier, just follow the steps and grant the permissions and done. Notifix categorizes the notifications into 4 major categories: Social, News, Primary, and Promotions. You can set a time period before the app starts clubbing the notifications together. This is pretty great if you consume a lot of content on your phone and it can help you streamline it. We’ve all been there when the notification panel is just overwhelmed with notifications and you just press Clear All instead of swiping every notification manually but there is one app notification that won’t budge. These pesky little notifications are system generated generally to remind you that an app is consuming battery and you should keep an eye on it. Notifications like that can be annoying at times but there isn’t a way to get rid of them easily. 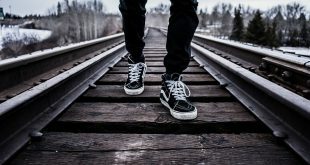 Hide ” running in the Background ” Notification (really, that is the name!) works quite well. you can hide all the notifications from the panel, even the system notifications. you just give it the notification access and choose the apps to include on the app and that’s it. you can then just long press on the notification that refuses to go and just press on stop notifications. It goes away. Those days are gone when we used to keep flashy ringtones for calls and text messages. I usually keep my phone on Silent mode and pair it with my smartwatch. That said, there are times when I miss some important texts and calls may be from boss or parents. This app has a very creative solution to this problem, the camera Flash. It uses the flash to grab your attention for the notifications. Using this app is rather simple, it requests access for the camera and uses its flash to notify you of any notifications your phone receives. There are a couple of options available in this app which you can use to customize the flash notifications. You can choose to activate it only if your phone is on mute or silent. It has a pocket mode which senses if your phone is in your pocket and disables the flash because it won’t make sense to activate it then. You can change the frequency of intervals in each flash or exclude specific apps from the flash notifications. 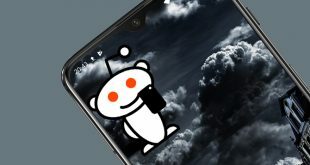 We listed 10 notification apps for Android that can totally change your experience with Notifications and make your life a little easier. Material Notification Shade gives you the experience of Nougat, Oreo, and P’s Notification manager. LightFlow lets you customize the LED notifications for every app. 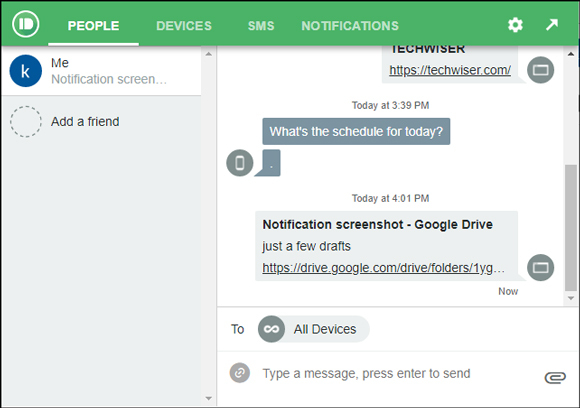 PushBullet gives you cross-platform access to the notifications. AcDisplay and Always ON AMOLED show a minimalistic lock screen to display notifications. If you like clubbing your notifications together based on categories go for Notifix. Hide Notification to get rid of those stubborn notifications. 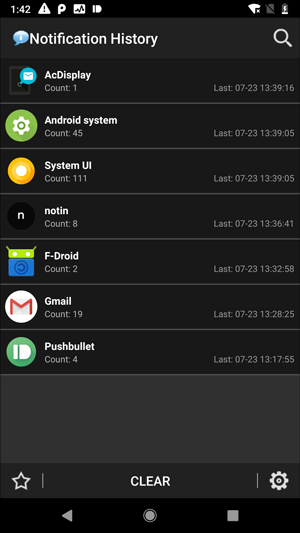 Notification history tracks and keeps a log of all the notifications. Flash Notifications is an effective app to grab your attention with the camera flash. HeadsUp Notifications shows floating messages of the notifications that can be swiped away with one gesture which is great.